It's big, it's huge, it's......ENORMOUS! Who can it possibly be for? Jack, Dot or Polly? What could be waiting inside? 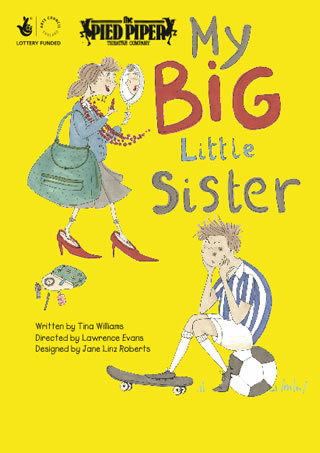 The first in Pied Piper's new strand of work 'Story in a Suitcase;, for small studio theatres, festivals and libraries. Packed with live music, audience participation, and all the sights and sounds of the sea this much loved story is brought to life for children aged 3+, their friends and families. 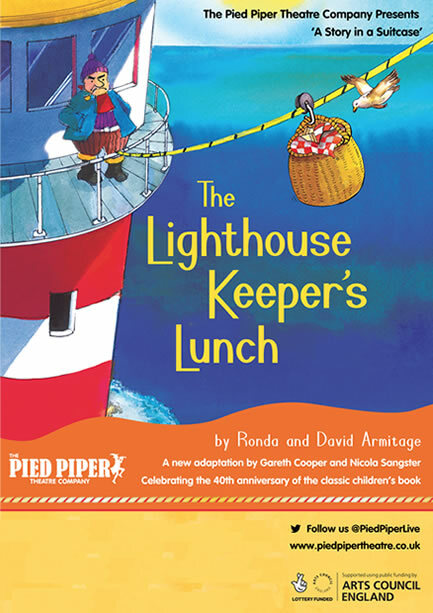 Join us for an all new musical storytelling extravaganza to celebrate 40 years of Ronda and David Armitage's The Lighthouse Keeper's Lunch. For lighthouse keeper, Mr Grinling, lunch is the highlight of the day. But Mr Grinling isn't the only one who enjoys the delicious food. Some greedy seagulls keep stealing his lunch! Can Mr and Mrs Grinling come up with a plan to stop them? 'What could stop the seagulls pecking? Stop them eating up my lunch? The first in Pied Piper's new strand of work 'Story in a Suitcase', for small studio theatres, festivals and libraries. A co-production with Oxford Playhouse. Mia has come to live with her Grandma far away from where she was born. It isn't at all like her old life in the city and at first she feels different from the new children she sees. 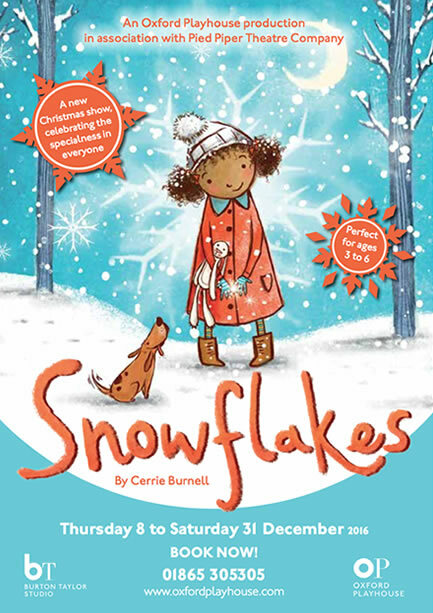 But when she watches the snow falling, Mia realises that she is just like one of the snowflakes - unique and perfect in her own way. A show that celebrates the specialness in everyone from Cerrie Burnell, the well-loved CBeebies presenter and best-selling children's author. 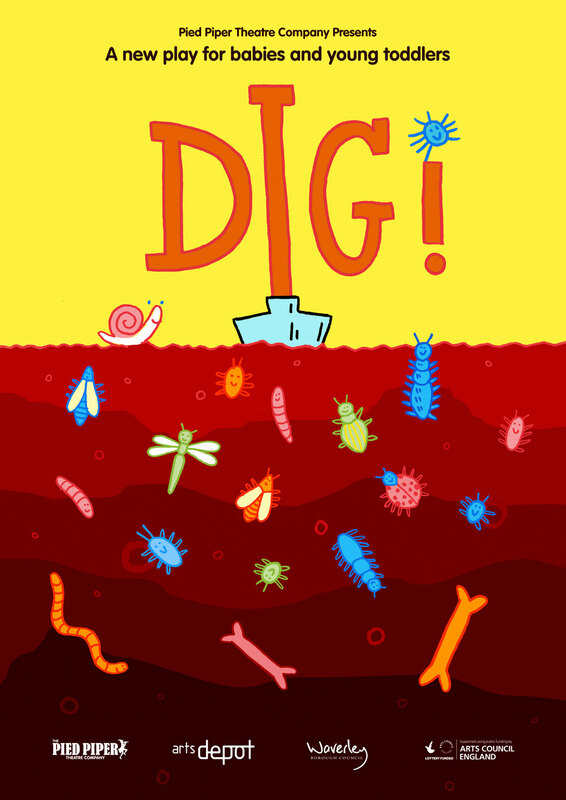 Inspired by Janet and Allan Ahlberg's beautiful picture book. The fun and well defined characters are brought to life on stage with an exciting set design, puppets, and original music and songs. Who's that creeping down the street? Who's that climbing up the wall? Who's that coming through the window? 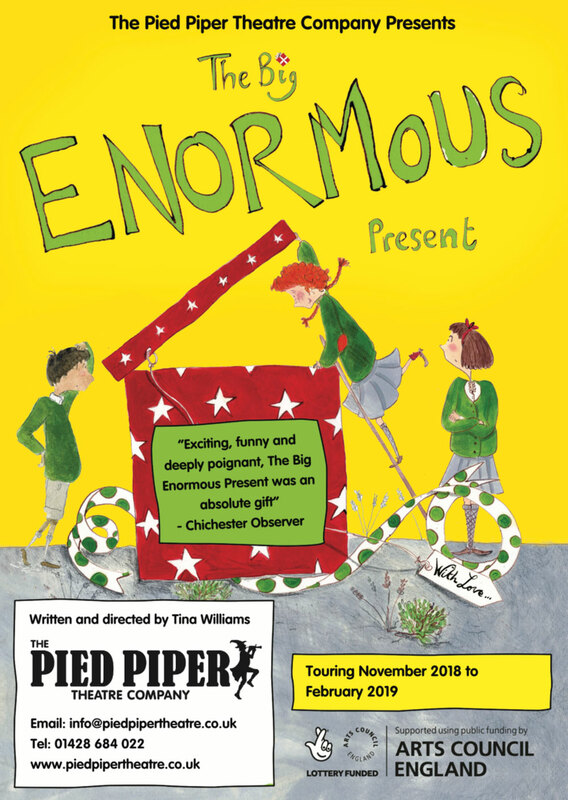 Come and join The Pied Piper Theatre Company this autumn and winter as we bring this classic tale to life! Join two friends as they embark on an amazing journey and discover that sometimes new can be exciting, and different can be good! 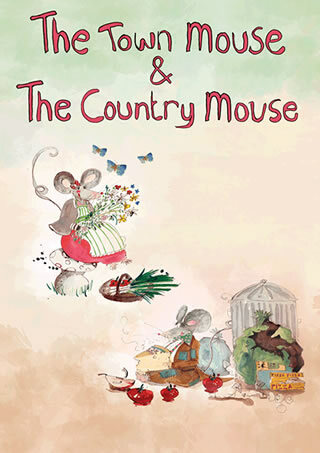 An enchanting story from Aesop's much loved and heart warming tale of, "The Town Mouse and The Country Mouse"
This show toured the UK in 2015 and 2016 and was a huge hit with audiences. If you're interested in having The Town Mouse & The Country Mouse performed at your venue, please make an inquiry here. A young boy's incredible journey with a feathered friend. But will facing his fears turn out to be the greatest adventure of all? 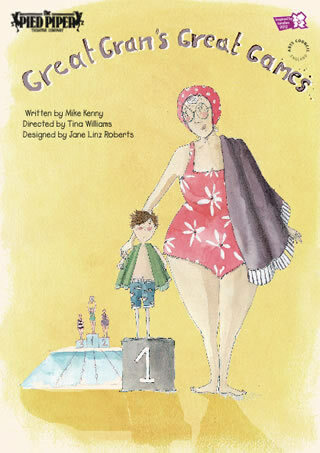 This is an uplifting tale of change, bravery and friendship told with puppetry, poetry, music and magical design, for ages 4+ and their families. 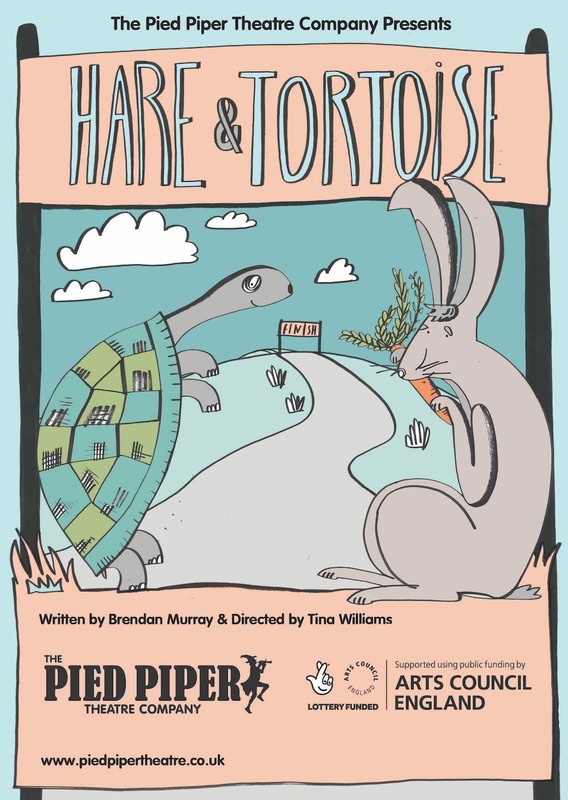 Join Pied Piper Theatre Company for a new play celebrating 30 years of outstanding children's theatre. 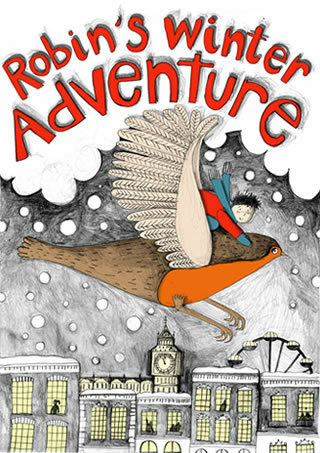 Robin's Winter Adventure is available to return for a Christmas run. If you're interested in having this production at your venue, please make an inquiry here. Hugo has to choose who to stay with while his mum's having a baby. Granny? Mrs Mariposa next door? Uncle Jack? 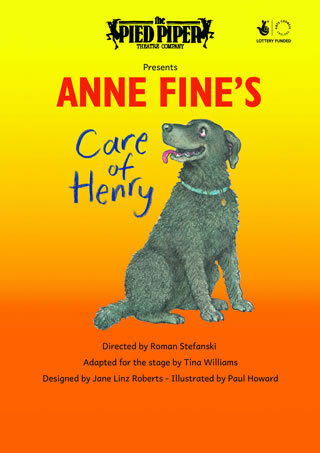 Who will care for him - and his dog Henry - the best? Tom says he can't understand his little sister Ruby. She always wants to be someone else: a pop star, a model, a princess... Ruby says she just wants to be a grown-up, with no one telling her what to do, how to dress and where to go... Mum says you should be careful what you wish for....! Frankly, Ollie can’t see the point of his Great Gran; and now it’s even worse. She fell and hurt her hip and had to come to stay. Ollie has had to give up his room. And what can she do? She can’t run, jump, skate, anything. She can hardly stand. However she can do something he can’t. She can swim. In fact, she can do it rather well. There was a time she did it at the Olympic Games in London. No! Not those Olympic Games. The other ones in 1948.... When the athletes had to bring their own towels! Laura has always wanted someone special to share her secrets with. One night she finds a star lying broken, on the pavement. Tenderly, she takes the star home. As it glows warmly in her hand she knows that she will be able to tell it all her secrets. But when she wakes up the next morning, the little star has disappeared. Was her friend just a dream? 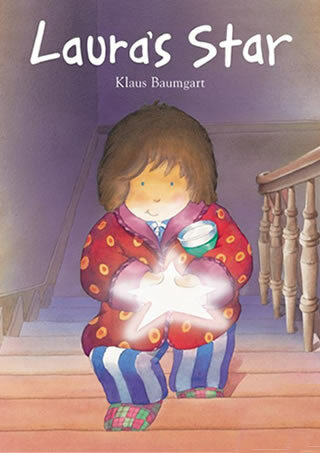 In this magical story a lonely girl learns that friendship sometimes means letting go of your most precious treasures. 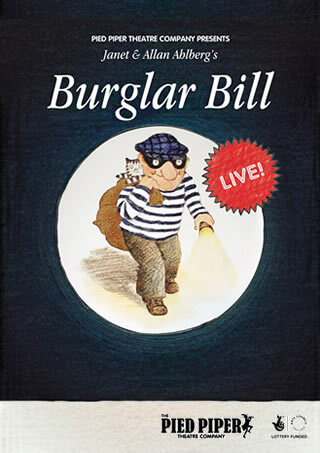 Pied Piper’s acclaimed production brings to live this much loved children’s book with live music and puppetry.